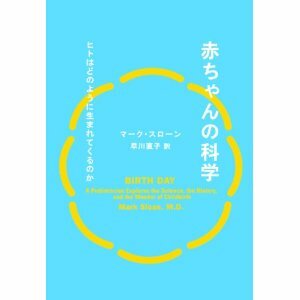 Tokyo update: Birth Day and the Biblio Battle | Mark Sloan M.D. "Baby Science" takes the bronze! Here’s how the Biblio Battle worked: more than 200 Japanese university students entered, each picking a book they were passionate about. 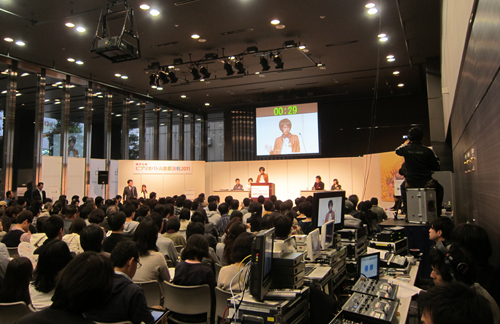 Then, through a tournament-style series of book-on-book debates held at a number of universities, the titles were winnowed down by audience vote to 33 semi-final contenders. The final five duked it out on the big stage in Tokyo. Thanks to the hard work of Osaka University student Mina Mizuhara (you can watch Mina in action on YouTube), Birth Day/Baby Science finished third. Although there were no medals or new cars awarded (none have arrived on my doorstep, at any rate), this is an honor I very much appreciate. What a great honor and a terrific idea! Screw American Idol; we need a biblio battle in the US. I worry that an American Biblio Battle would end in a hail of gunfire… Seriously, though, that would be a great idea. Anything to get young adults reading. The official site of Bibliobattle was updated. I wrote a report of this site. I hope an opportunity in the US to have and enjoy Bibliobattle, anyone, anywhere. It’s a good for a reading and cultural exchange.